Okay, I know what you’re thinking . . . It sure looks like the Chickpea Salad Tacos, but I assure you, totally different. (But they are both amazing!) Lunches as a vegan can be a pain to pull together, especially when you want something fast and healthy. I find it super convenient to make something ahead of time that I can enjoy the whole week. If you’re itching for change, you can always accessorize your salad with tomatoes, avocado, cucumber. This salad is easy to throw together and can be served on tortillas (I used soft corn), wraps, bread, lettuce leaves, or just by itself! Tempeh also has all the protein you need to keep you chugging along the rest of the afternoon, so you won’t fall asleep at your desk. This recipe makes about 6 cups, so feel free to halve it for a smaller batch. Start by steaming the tempeh for 10-12 minutes (I used my saucepan/steamer on the stove). 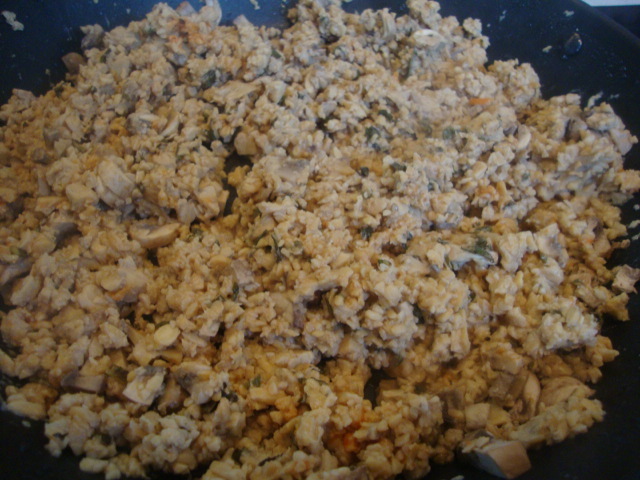 Once softened, transfer to a large bowl and mash the tempeh into a desired consistency. I left quite a bit of the large chunks. Let cool (I stuck the bowl in the fridge while I prepared the rest of the salad). In a small bowl, whisk together the mayo, sour cream, mustard, relish, Worcestershire sauce, nutritional yeast, salt, pepper, and garlic; set aside to let the flavors mingle. 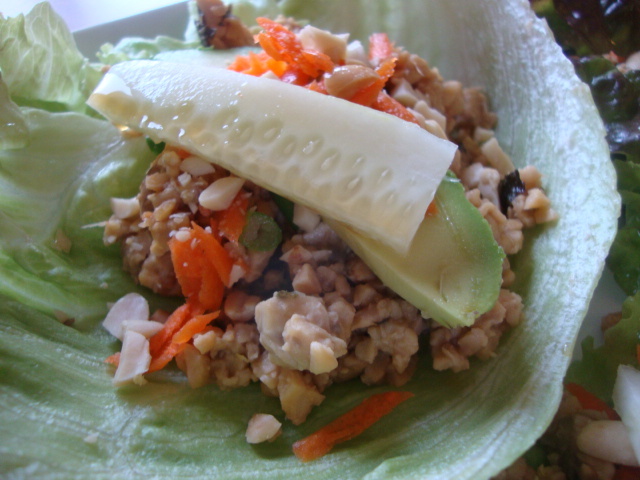 In a large bowl, combine the water chestnuts, celery, onion, cabbage, and cashews. Once the tempeh has cooled, mix it in with the vegetables. Add the sauce and coat well. Serve on your choice of bread, wrap, or tortilla, or even crackers. Enjoy! Okay, I know what you're thinking . . . It sure looks like the Chickpea Salad Tacos, but I assure you, totally different. (But they are both amazing!) Lunches as a vegan can be a pain to pull together, especially something healthy. I find it super convenient to make something ahead of time that I can enjoy the whole week. If you're itching for change, you can always accessorize your salad with tomatoes, avocado, cucumber. This salad is easy to throw together and can be served on tortillas (I used soft corn), wraps, bread, lettuce leaves, or just by itself! Tempeh also has all the protein you need to keep you chugging along the rest of the afternoon, so you won't fall asleep at your desk. This recipe makes about 6 cups, so feel free to halve it for a smaller batch. Start by steaming the tempeh for 10-12 minutes (I used my saucepan/steamer on the stove). Once softened, transfer to a large bowl and mash the tempeh into a desired consistency. I left quite a bit of the large chunks. Let cool (I stuck the bowl in the fridge while I prepared the sauce). In a small bowl, whisk together the mayo, sour cream, mustard, relish, Worcestershire sauce, nutritional yeast, salt, pepper, and garlic; set aside to let the flavors mingle. 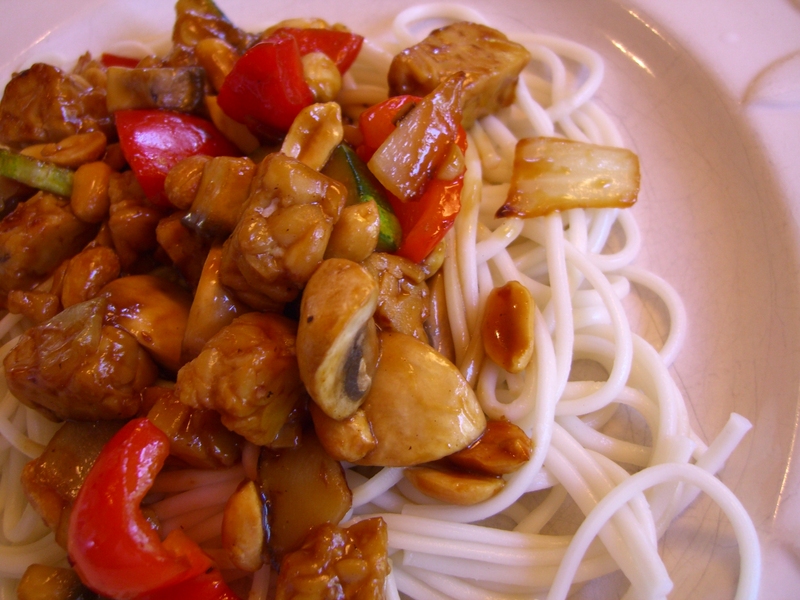 In a large bowl, combine the water chestnuts, celery, onion, cabbage, and cashews. Once the tempeh has cooled, mix it in with the vegetables. Add the sauce and coat well. Serve on your choice of bread, wrap, or tortilla, or even crackers. Enjoy! This sandwich certainly isn’t for the dainty. Grab some napkins and don’t be afraid to let things get messy, but you probably won’t care, because the flavor is amazing. Sauerkraut, avocado and tempeh is a delicious combination, especially with the tangy dressing and toasted rye bread. This is also a quick meal; perfect when you don’t have a lot of time. 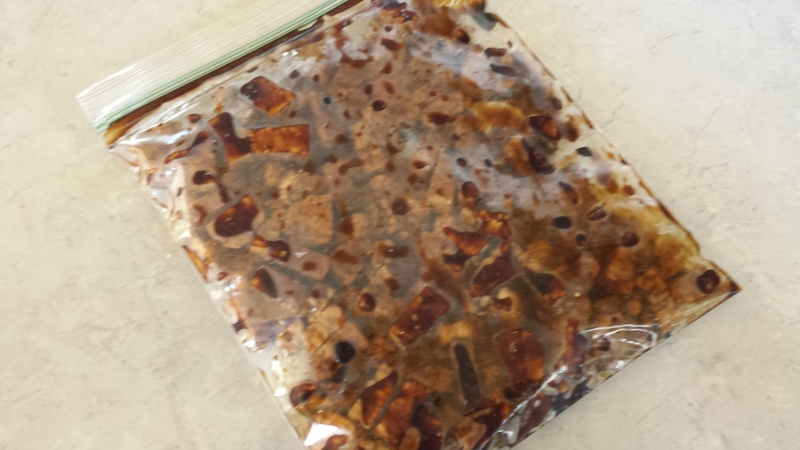 Combine the tamari, Worcestershire sauce, garlic, salt and pepper in a medium zip bag. Add the tempeh, coat well and marinate for 1-3 hours in the refrigerator. To make the sauce, whisk together the mayo, ketchup, relish, Dijon, nutritional yeast, onion powder and garlic powder. In a large skillet, over medium-low heat, add the marinade and tempeh. The marinade will burn if you cook it over too high of heat, so try to keep it between medium-low and cook the tempeh, turning once or twice, until the sides are crispy. To assemble the sandwiches, I spread some dressing on one bread slice, placed a few pieces of tempeh on top, then some sauerkraut, avocado slices and some more dressing. This sandwich certainly isn't for the dainty. Grab some napkins and don't be afraid to let things get messy, but you probably won't care, because the flavor is amazing. Sauerkraut, avocado and tempeh is a delicious combination, especially with the tangy dressing and toasted rye bread. This is also a quick meal; perfect when you don't have a lot of time. Who doesn’t love a good veggie wrap? These take very little time to prepare, so lunch or dinner will be ready in minutes. Not only is this a fast and tasty meal, but both quinoa and tempeh provide lots of protein, iron and fiber, not to mention some vitamin B2 and manganese, an antioxidant. These are downright delicious topped with veggies and vegan Thousand Island dressing from Follow Your Heart (which is gluten-free, non GMO and has no cholesterol). Great to wrap and go when you’re on the road, too. 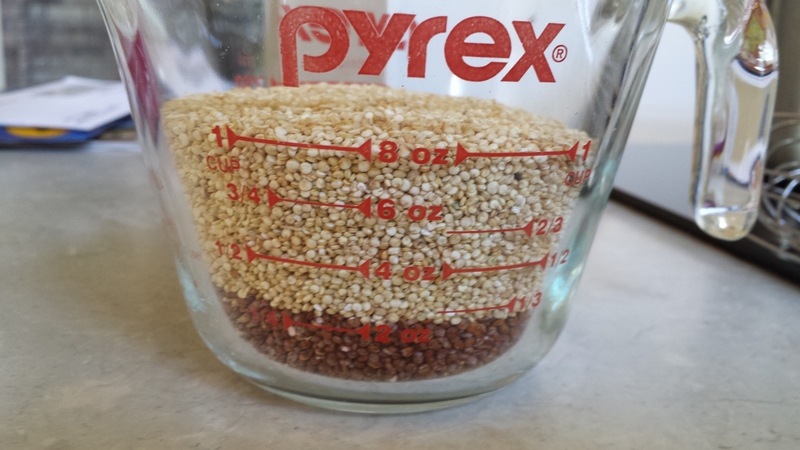 Start the quinoa, as it will take about 20 minutes. In a medium sauce pan, combine the broth and quinoa. Bring to a boil, then reduce heat to low, cover and let cook about 17-22 minutes, until the water is absorbed. Meanwhile, in a large skillet, heat the olive oil and add the garlic. Saute over medium heat for a minute, then add the onions. Cook the onions for about 5 minutes, or until they begin to soften. Add the tempeh and cook 10 minutes, stirring often until most of the tempeh begins to brown. I then drizzled tamari all over the tempeh and onions, using just enough to coat them, perhaps around a 1/4 cup. Add the Worcestershire sauce too. 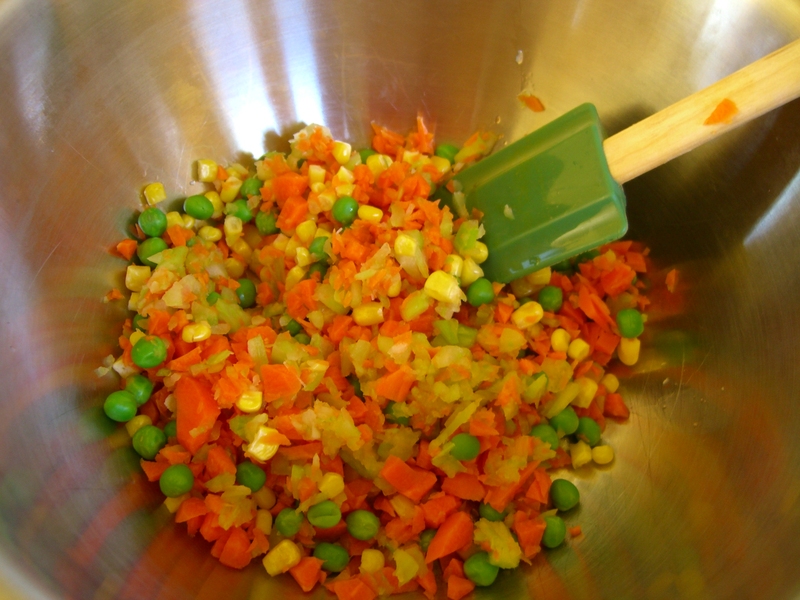 Coat the mixture thoroughly and reduce heat to medium-low. Stir in the pepitas. To assemble the wrap, start with quinoa, pile on some of the tempeh-onion mixture, then top with lettuce, tomato, avocado and dressing. Wrap up and enjoy! Who doesn't love a good veggie wrap? These take very little time to prepare, so lunch or dinner will be ready in minutes. Not only is this a fast and tasty meal, but both quinoa and tempeh provide lots of protein, iron and fiber, not to mention some vitamin B2 and manganese, an antioxidant. These are downright delicious topped with veggies and vegan Thousand Island dressing from Follow Your Heart (which is gluten-free, non GMO and has no cholesterol). Great to wrap and go when you're on the road, too. Start the quinoa, as it will take about 20 minutes. In a medium sauce pan, combine the broth and quinoa. Bring to a boil, then reduce heat to low, cover and let cook about 17-22 minutes, until the water is absorbed. Meanwhile, in a large skillet, heat the olive oil and add the garlic. Saute over medium heat for a minute, then add the onions. Cook the onions for about 5 minutes, or until they begin to soften. Add the tempeh and cook 10 minutes, stirring often until most of the tempeh begins to brown. I then drizzled tamari all over the tempeh and onions, using just enough to coat them, perhaps around a ¼ cup. Add the Worcestershire sauce too. Coat the mixture thoroughly and reduce heat to medium-low. 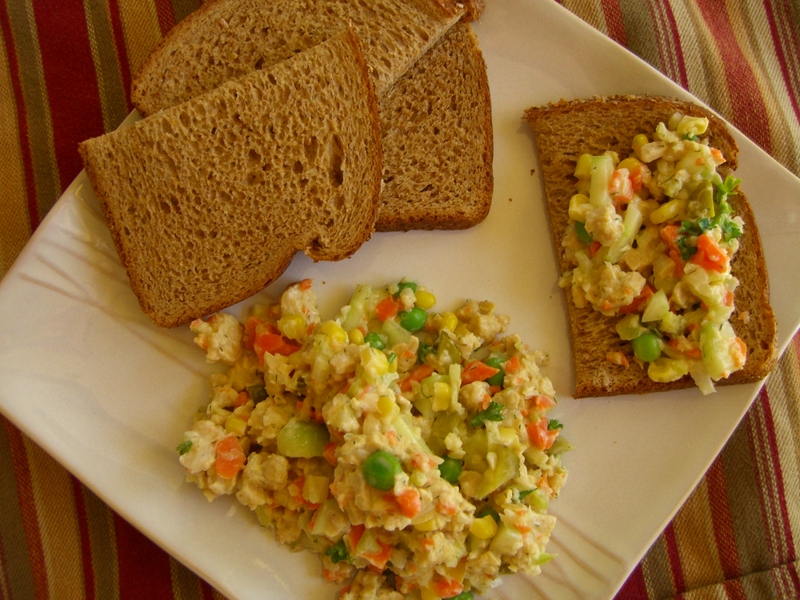 If you want to call this “Egg Salad” or “Tuna Salad,” go right ahead. It certainly has the feel, so to speak. I do put some kelp powder in this salad, so it can have that tuna-ish essence. I made this version somewhat chunky, but I’ve also made it more like a pate. If that’s more your fancy, I suggest using a food processor to mash up the tempeh, then finely cut the onions instead of chopping them. Either way, this is a healthy lunch that will keep in the fridge for a few days. Serve on some toasted bread with lettuce, and if you like, a slice of vegan cheese. Steam the tempeh for 15-20 minutes. 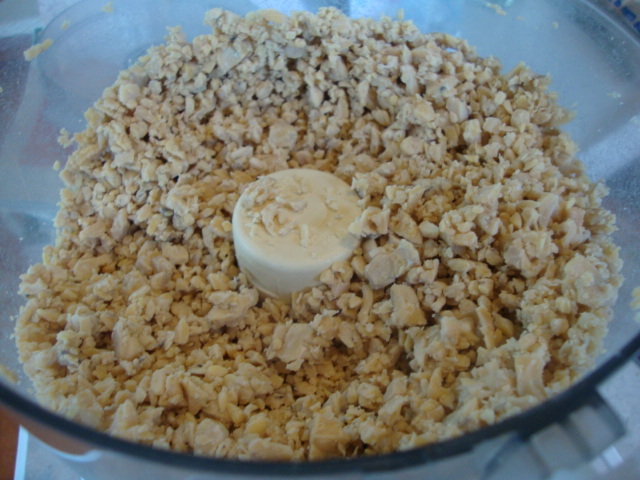 Transfer the tempeh to a bowl (or the food processor) and mash up until your reach the desired consistency. Add the rest of the ingredients and mix well. Makes about 2-1/2 cups. Enjoy! If you want to call this "Egg Salad" or "Tuna Salad," go right ahead. It certainly has the feel, so to speak. I do put some kelp powder in this salad, so it can have that tuna-ish essence. I made this version somewhat chunky, but I've also made it more like a pate. If that's more your fancy, I suggest using a food processor to mash up the tempeh, then finely cut the onions instead of chopping them. Either way, this is a healthy lunch that will keep in the fridge for a few days. Serve on some toasted bread with lettuce, and if you like, a slice of vegan cheese. We had a fabulous July 4th holiday feast with great friends and family. 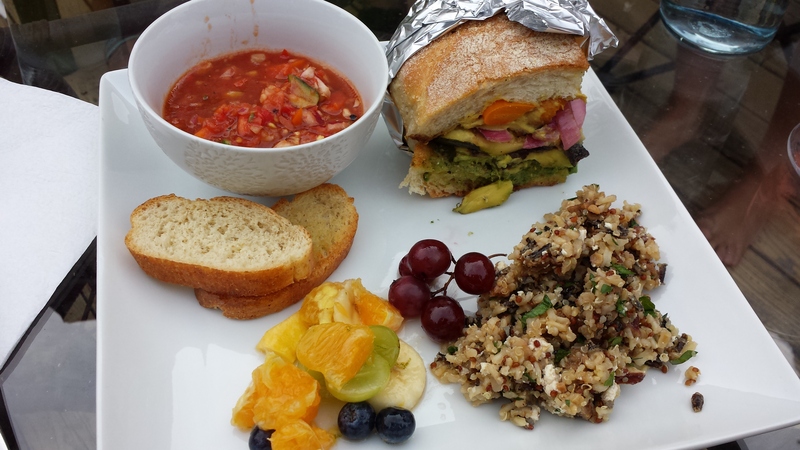 Our friends made these incredible grilled vegetable sandwiches and an outstanding gazpacho! (recipe soon to come, for sure). Cold quinoa and/or rice salads tend to be ideal for outdoor get togethers, plus, being vegan AND gluten-free, makes it so everyone can enjoy. Granted, there was a lot of prep work for this salad, but you can save yourself some time by making certain things ahead of time. 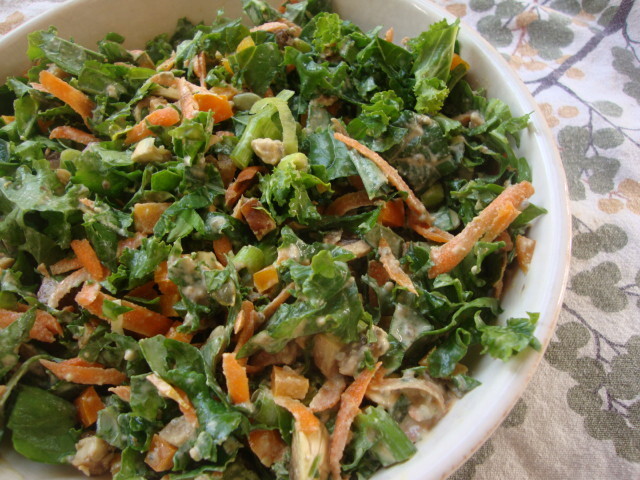 I love the different flavors in this salad, as well as the crunch from the nuts. I made quite a big batch, so feel free to halve the recipe for a smaller crowd. I recommend making the feta and marinating the tempeh ahead of time, even a day or two ahead if you can. I didn’t, and I think the salad still turned out great, but it’ll bring out the flavors even more. We’ll start with the feta. 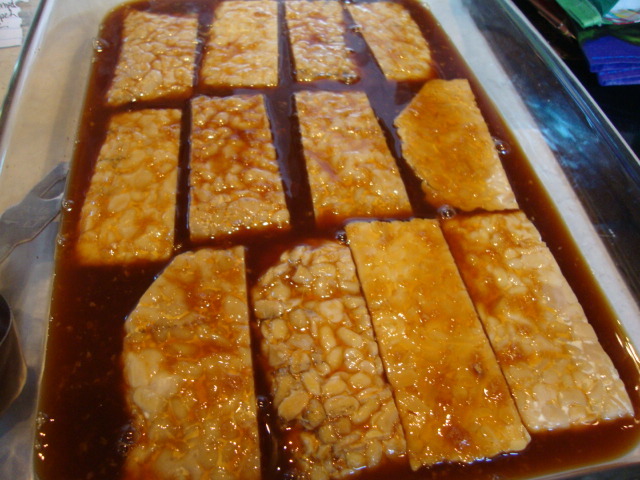 Slice the tofu into 1/2″ slabs and place into a large dish. Whisk together the feta marinade and coat the tofu thoroughly. Cover and refrigerate for several hours, or preferably over a night or two. Next, blend the cashews, olive oil, miso, and reserved marinade. I used my blender, but I couldn’t get a smooth consistency, so I transferred the mixture to a mortar and pestle, to mash it up even more. 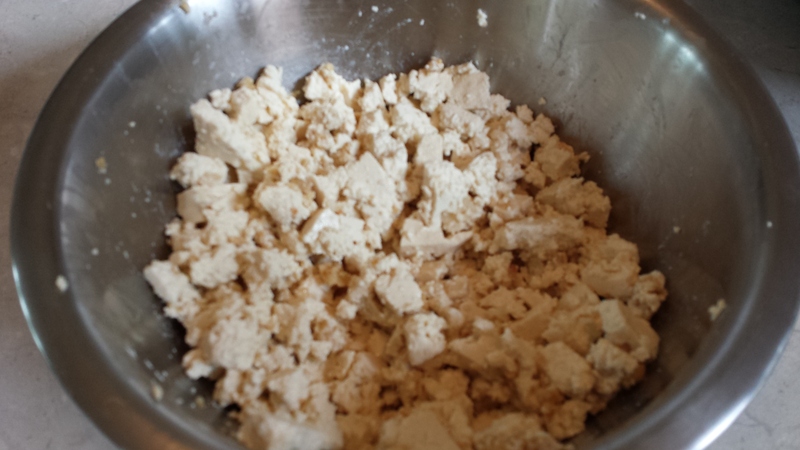 Crumble up the tofu with your fingers, then add the cashew mixture; combine well. Keep refrigerated in an airtight container. 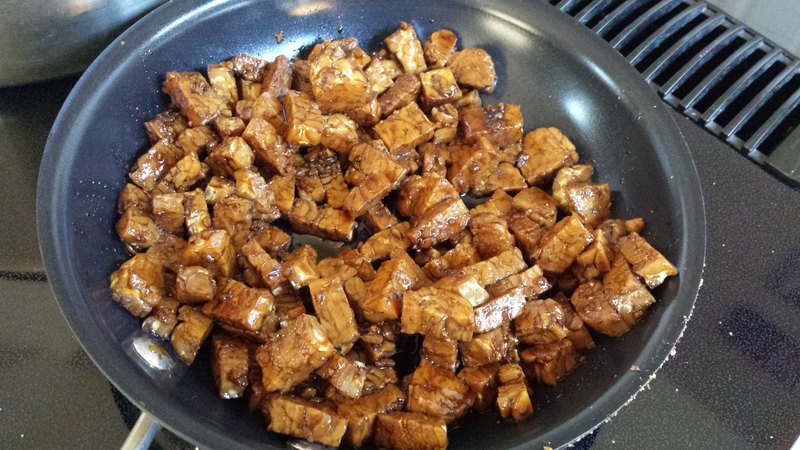 To make the tempeh, combine all of the marinade ingredients in a medium zip bag and add the tempeh. Let it marinade for several hours to overnight. When ready, heat a tiny bit of olive oil to a small skillet and add the tempeh. Saute over medium heat until the tempeh has crispy edges. Meanwhile, cook the rice and quinoa (separately) according to package instructions. I tend to use veggie broth for added flavor. I also used what quinoa I had: some red, some regular. Combine the two in a large bowl and refrigerate until cooled. (Be sure to place a hot pad or trivet underneath the bowl when placing directly onto a cold, glass refrigerator shelf.) 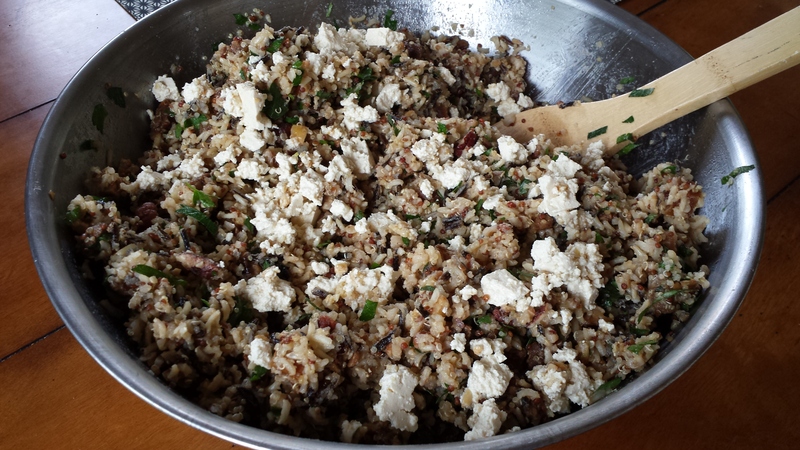 Once cooled, fold in all of the ingredients: nuts, feta, parsley, tempeh, and apricots. Whisk together the dressing ingredients and pour over the salad; fold gently to incorporate everything. Enjoy! 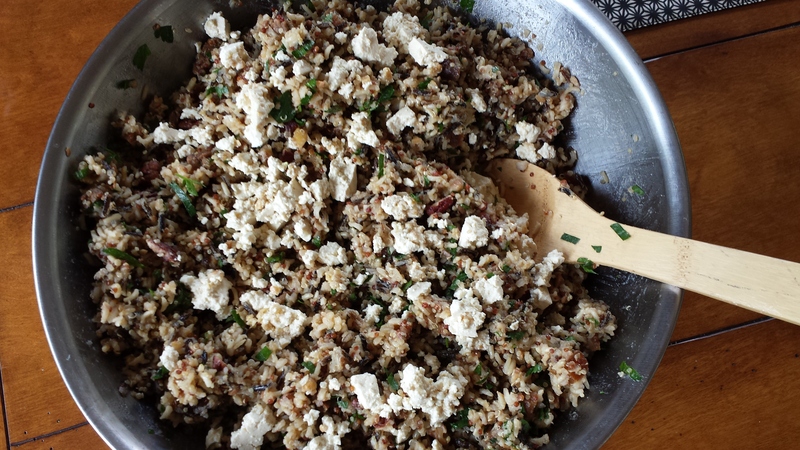 Quinoa-Rice Salad with Tempeh and "Feta"
I recommend making the feta and marinating the tempeh ahead of time, even a day or two ahead if you can. I didn't, and I think the salad still turned out great, but it'll bring out the flavors even more. We'll start with the feta. Slice the tofu into ½" slabs and place into a large dish. Whisk together the feta marinade and coat the tofu thoroughly. Cover and refrigerate for several hours, or preferably over a night or two. Next, blend the cashews, olive oil, miso, and reserved marinade. 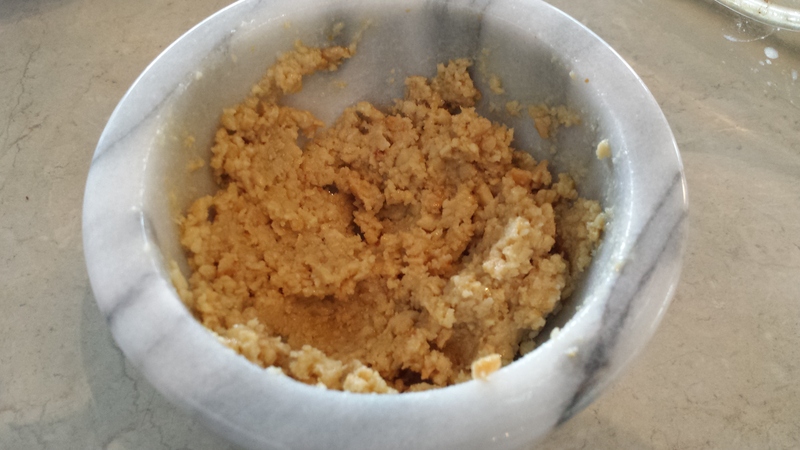 I used my blender, but I couldn't get a smooth consistency, so I transferred the mixture to a mortar and pestle, to mash it up even more. Whether or not you’re fighting a cold or illness, this is the perfect salad to eat to boost your immune. No one wants to be sick during the holidays. It also doesn’t help that we tend to not eat or drink as healthy during these yuletide times. Instead of throwing back some harmful meds with a measly glass of OJ while you’re sick, head for the fridge (or ask someone politely) to fix this cold-fighting bowl of awesomeness. If anything, steam some kale, eat a raw orange bell pepper, and a bowl full of white mushrooms. Then repeat. Whew! Did you get all that?! Talk about a loaded salad! If you’re adding tempeh, you’ll want to start that now. Combine the tempeh with the soy sauce (preferably low-sodium), Worcestershire sauce, oil, garlic, and salt and pepper in a large ziplock bag; coat the tempeh thoroughly. Line a baking sheet with foil and pour the tempeh on the sheet. Bake at 375 for 5 minutes, stir around, then bake another 5 minutes. Combine all of the salad ingredients in a large bowl, then chop up the tempeh into even smaller pieces; add to the salad. To make the dressing, combine all of the dressing ingredients in a blender and blend 2 minutes, or until completely smooth. It makes about 2-1/2 cups. You can pour the dressing over the entire salad and blend well, or keep it separate. If you store it separately, keep in mind that it will probably set up in the fridge; you’ll need to add some water and/or lemon juice to it to thin it out some more. I hope all of you are staying healthy and continue to do so during these oftentimes stressful days! Enjoy! I have been trying for some time now to find a recipe with tempeh that The Husband will like. He’s not big on these fermented soybeans. But I think I’m making progress! The flavor is outstanding, but I will admit, by themselves, the tempeh pieces are a little dry. I recommending serving them in a sauce or with a dipping sauce. The Husband and Sixth Grader had the audacity to dip them in ketchup – – -and like it! 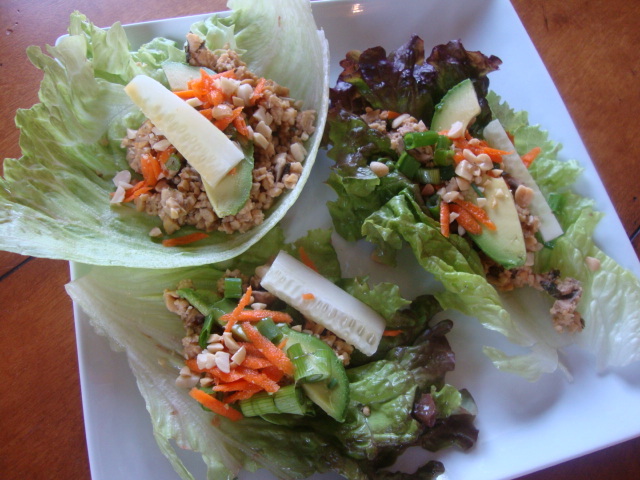 This would be so tasty to add to a stir-fry or instead of making small triangles, make tempeh burgers. Then maybe ketchup will be allowed. . .
Preheat oven to 350. 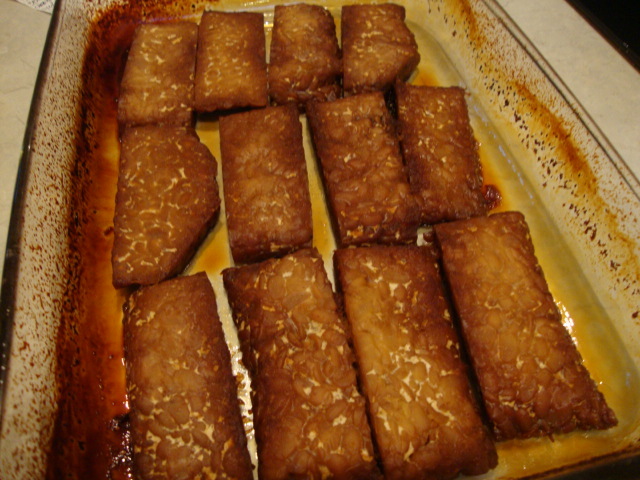 Cut tempeh into thirds, then slice each third lengthwise.You’ll end up with 12 slices. Whisk together marinade ingredients in a small bowl, then pour over tempeh. Let cool, then cut tempeh into triangles. In a shallow dish/bowl, combine the crust ingredients. Heat oil in a large skillet. 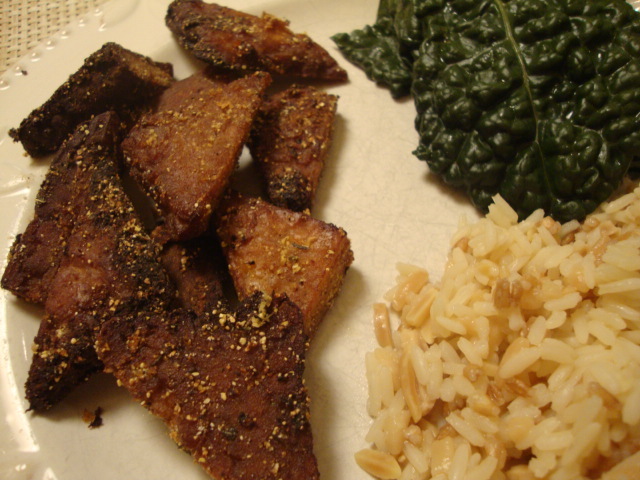 Meanwhile, dredge each piece of tempeh in the cornmeal mixture and cook in the oil for a minute on each side. I served these with some toasted almond pilaf and steamed kale—delicious! Enjoy! This is another quick meal to make when you’re short on time. You can substitute the soba noodles with rice if you’d like and add other ingredients such as bamboo shoots or Chinese snow peas. Heat olive oil in a large skillet. In the meantime, cook the noodles or rice. Add the zucchini, tempeh, onion, and bell pepper to the pan and saute for about 15 minutes. Drizzle with a little mirin. While these are cooking, combine the cornstarch and water in a small bowl. In another small bowl, combine all of the sauce ingredients, then whisk the cornstarch mixture into the sauce mixture. Add the mushrooms to the skillet and cook just a few minutes–I don’t like shriveled mushrooms, so I always add them last. Stir in the sauce and the peanuts and combine well. Let it simmer a couple of minutes, then serve on the noodles or rice. Enjoy! This recipe is from The Kind Diet by Alicia Silverstone who says this recipe doesn’t exactly replicate tuna, but isn’t necessarily trying to. It has a taste all its own and she’s correct. It’s delicious in its own right. I recommend making this ahead of time as it requires steaming tempeh and marinating onions, as well as chilling time—all worth it. Cut tempeh in half and steam for 20 minutes. Set aside to cool. Bring a small pot of water to a boil. Add the onion and boil for 10-15 seconds. 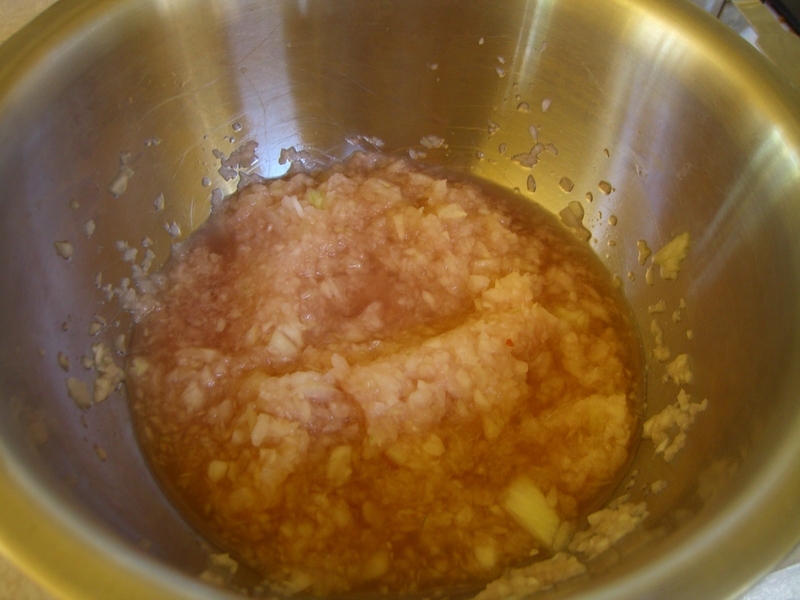 Used a strainer or slotted spoon to transfer onion to a mixing bowl. Keep water boiling on the stove. Add the vinegar to the onions and let marinate for 30 minutes. Blanch the celery, carrots, corn, and peas in the reserved boiling water for 10 seconds each, scooping them into a mixing bowl as each veggie is done. Set aside to cool. Drain the marinated onions on a sieve, and rinse quickly under running water. Squeeze the excess liquid from the onions, and add to the bowl with the vegetables. Cut the cooled tempeh into small cubes, and add to the bowl along with the cucumber, pickles, Vegenaise, mustard, lemon juice and dill. This is also were I added the sour cream and salt and pepper. Serve topped with capers and parsley. (I stirred parsley in with the other ingredients). Enjoy!